Located in Darling Harbour, this bed & breakfast is within a 15-minute walk of Sydney Fish Market and SEA LIFE Sydney Aquarium. Circular Quay and Overseas Passenger Terminal are also within 2 mi (3 km). Pyrmont Bay Light Rail Station is only a 5-minute walk and Fish Market Light Rail Station is 6 minutes. Located in Darling Harbour, this bed & breakfast is within a 10-minute walk of Australian National Maritime Museum, International Convention Centre Sydney, and Sydney Lyric Theatre. Sydney Town Hall and SEA LIFE Sydney Aquarium are also within 15 minutes. Exhibition Light Rail Station is only a 5-minute walk and Pyrmont Bay Light Rail Station is 5 minutes. Located in Darling Harbour, this hotel is within a 5-minute walk of Australian National Maritime Museum and Sydney Lyric Theatre. International Convention Centre Sydney and Madame Tussauds Sydney are also within 10 minutes. Pyrmont Bay Light Rail Station is only a 2-minute walk and Convention Light Rail Station is 5 minutes. Pyrmont, a vibrant district that can be found a kilometre west of the heart of New South Wales' state capital, Sydney, is a popular area to spend a day while you are in town. During your time in Sydney, you will want to see its impressive number of attractions, such as the Sydney Opera House, Bondi Beach and Sydney Harbour Bridge. When you're searching for a spot of culture, get going to Yellow House, a gallery that will amaze you with its outstanding collection of canvases. 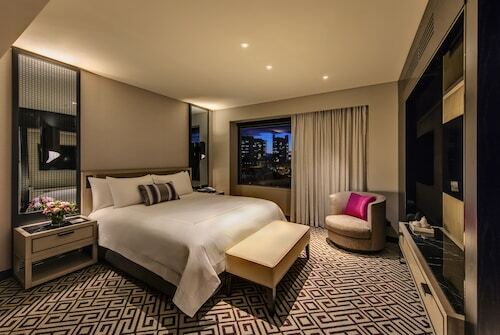 If you'd like to hit the hay nearby, check the rates at the Park Hyatt Sydney and Pullman Quay Grand Sydney Harbour. Fitzroy Gardens is a prime spot for taking things easy. 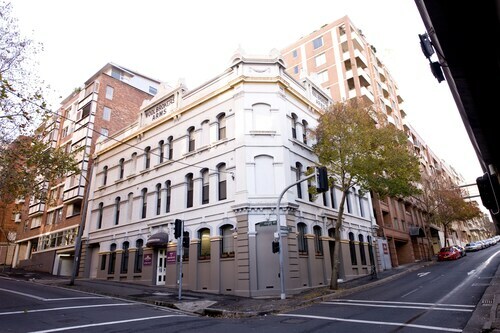 Look into the Quay West Suites Sydney and Establishment Hotel to be near this spot. 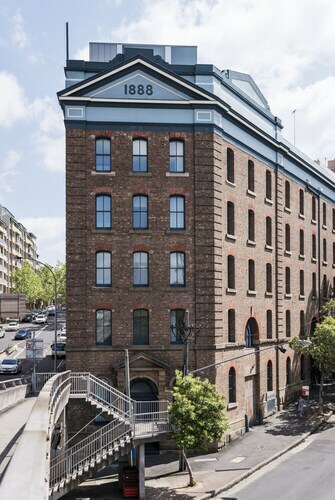 Planning on heading to Pyrmont on a small budget? 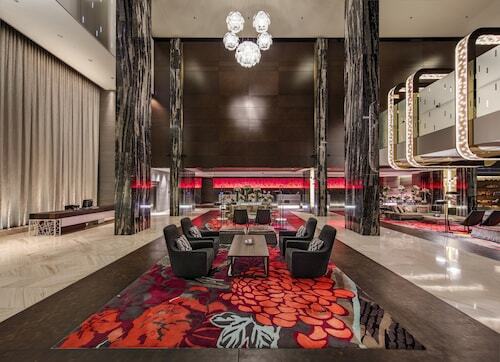 Book a room at The Woolbrokers at Darling Harbour, where you'll find the most value around town. At Wotif, we think that every now and then you just have to treat yourself. 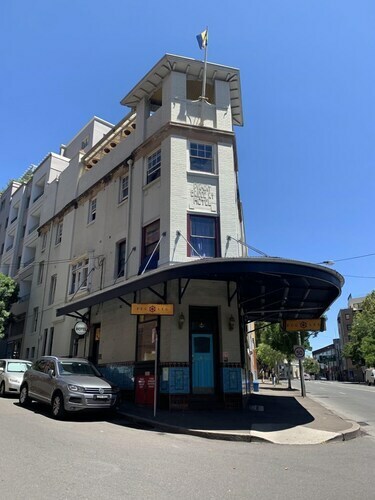 So if you are looking for places to sleep in Pyrmont and you're able to spend a bit more, you should consider the rates at The Darling at the Star and Astral Tower and Residences at The Star. Not a morning person? Don't worry, there's a variety of enticing cafes in Pyrmont. A steaming cup of coffee and cake at Vulcan Hotel is an ideal way to get things going. If a snack simply isn't going to cut it, go and take a look at the menu at Travelodge Hotel Sydney Wynyard. Everyone will find something to their liking at this well-loved diner. 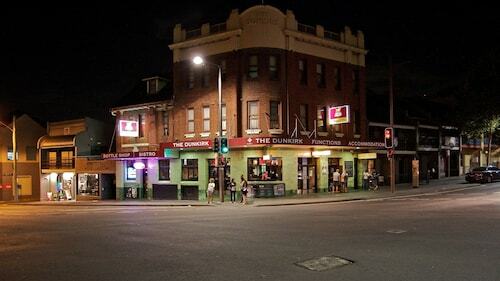 Before heading back to the hotel, why not swing by Base Backpackers Sydney for a few drinks? Both beer and wine drinkers will be well looked after here. 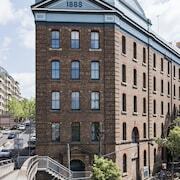 No worries if you can't secure the right Pyrmont hotel deal. You'll discover more options in the Darling Harbour - Pyrmont hotels guide and the Wotif Glebe hotels guide. Darling Harbour - Pyrmont is 0.4 kilometres from Pyrmont and Glebe is approximately a kilometre away from Pyrmont. Are you ready to make your Pyrmont holiday plans a reality? Wotif has your back, from flights and hotels to car hire and activities. How Much is a Hotel Room in Pyrmont? 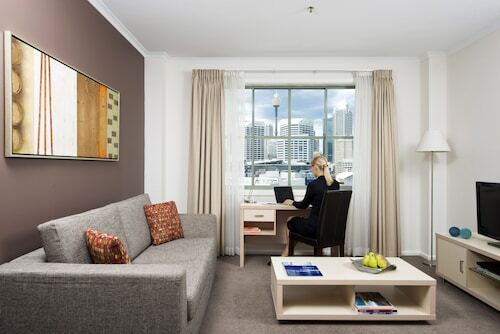 Hotels in Pyrmont start at AU$45 per night. Prices and availability subject to change. Additional terms may apply. Location is excellent for Darling Harbour. Property is looking a bit tired and is in need of a renovation. 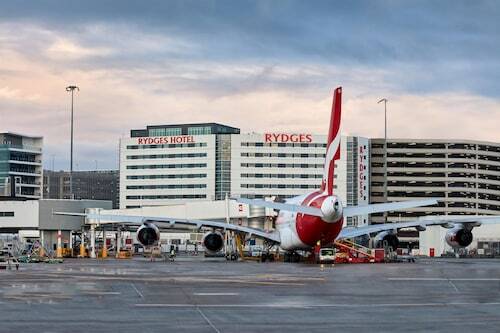 Being across the road from International Airport is so convenient.